The center of Arcadia is occupied by United Architectural Stone Co. 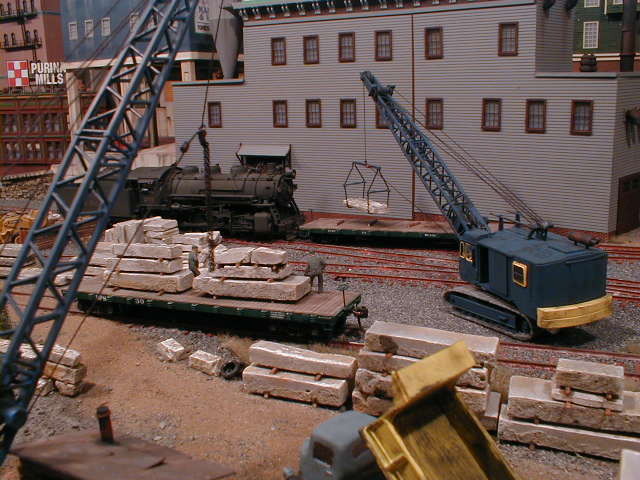 Here cranes are busy unloading stone of various sizes. Crushed stone products are received in hoppers and moved by bucket loaders into bins for distribution.